Drawing realistically might be boring to some artists, and looking at realistic paintings might be boring to some viewers. Neither can be said for Claudio Bravo, who was possibly the greatest realist painter of his time. The artist died in 2011, but the legacy that persists yet keeps his name spoken in many galleries and among many collectors. Creating monumental work on different subjects that he treated throughout his life, Bravo is perhaps best known for his “Package” Paintings. 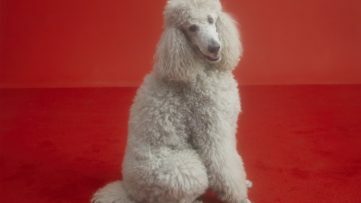 Displaying a number of works on paper and paintings from the estate of the artist in Chile, Marlborough Gallery presents the exhibition titled Selected works from the estate during the month of March. Claudio Bravo (1936 – 2011) was a Chilean realist painter well known to this day for his paintings of still life, portraits and packages, although he’s also done drawings, lithographs, engraving and figural bronze sculptures. He conquered Spain in his early years with his nearly magical portraits, and was often asked to paint important people of the time (like President Marcos of the Philippines and Francisco Franco’s daughter), but the package painting is what truly engraved Bravo in artistic history. 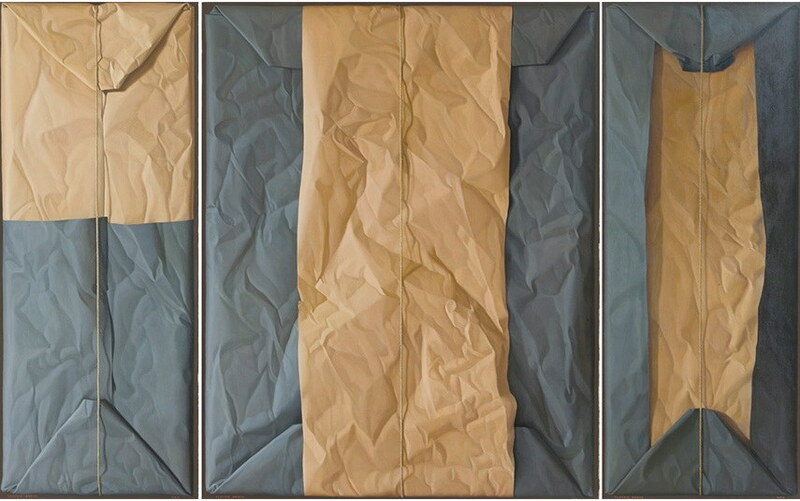 Using trompe l’oeil, a technique from the Baroque period meaning “to deceive the eye,” Bravo creates an illusion of three-dimensionality, bringing all of his package paintings as close to being real as a painting would allow. Many art reviews praise his work, calling his control of space and light a “hallucinatory reality of a dream.” His works can be found in the collections of museums around the world including: Baltimore Museum of Art, Maryland; Ludwig Museum, Cologne, Germany; The Metropolitan Museum of Art, New York; and Museo Nacional de Bellas Artes, Santiago, Chile, among others. For his astounding work, he was inducted into the Pastel Society of America’s Hall of Fame in 2005. 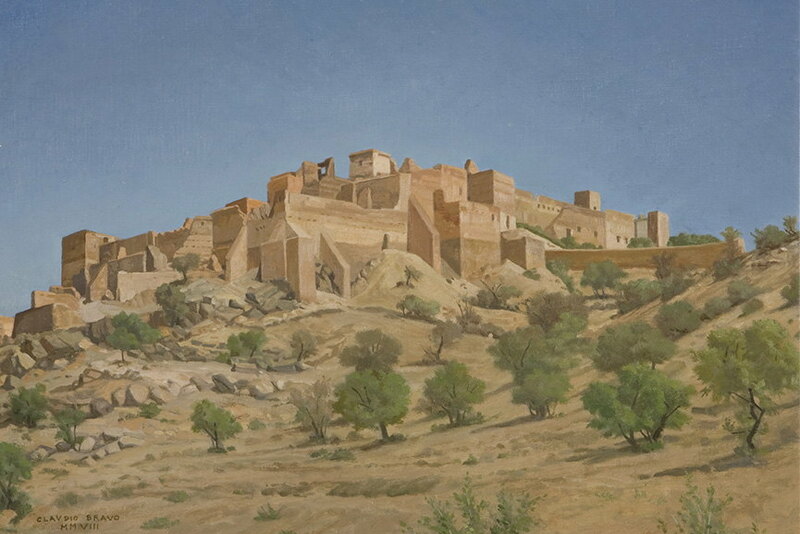 An undoubted master of his craft, Claudio Bravo portrayed the subjects with such technical skill that his paintings are often described as bordering spirituality. 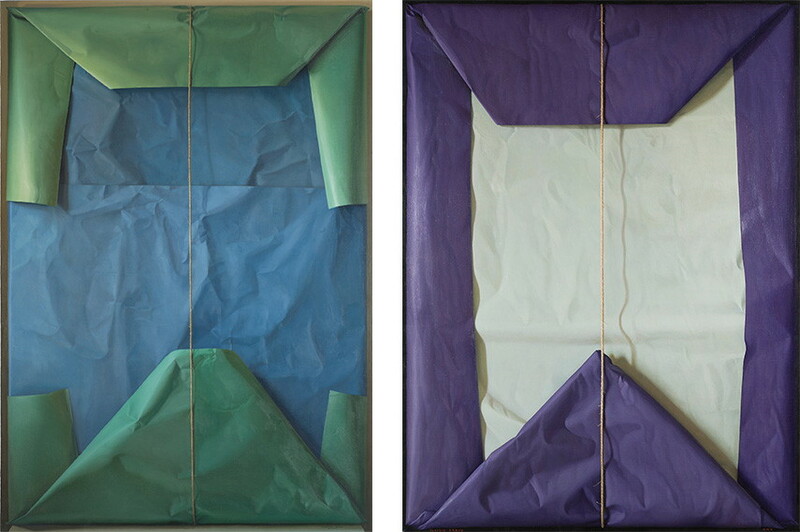 He is widely known for his “package” paintings, and eleven such pieces will be displayed in the upcoming show. Presenting a number of works by Claudio Bravo, Marlborough Gallery opens the exhibition in New York on March 9th, 2016. With an illustrated catalogue available during the exhibition, it will be on view until April 2nd. 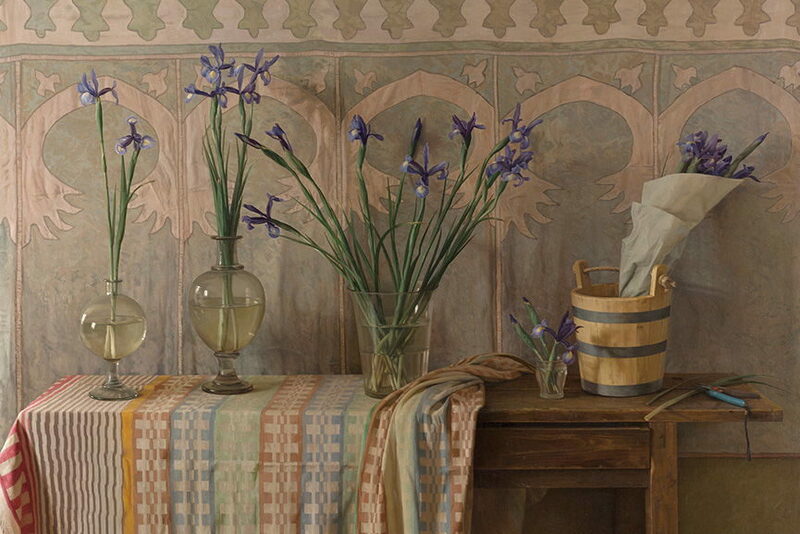 Featured images: Claudio Bravo – Ait Laaza (detail), 2008; Claudio Bravo – Iris (Irises), 1990. All images © Claudio Bravo, courtesy Marlborough Gallery, New York.